Add margin notes that you can edit, delete, or even export from Kindle Paperwhite to your computer. Share highlighted sections and meaningful quotes on Facebook and Twitter, and see passages frequently highlighted by other Kindle readers. Design your own perfect reading experience by increasing the text size to suit you. Choose from eight text sizes to prevent tired eyes and keep you reading longer. COMING SOON—Find your next favorite book. Now the world's largest e-reading community can connect with the world's largest community of book lovers. Join over 20 million other readers and see what your friends are reading, share highlights, and rate the books you read with Goodreads on Kindle. 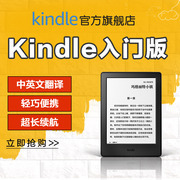 新增：Kindle Paperwhite holds up to 1,100 books, so you'll never have to leave your favorite titles behind. With Kindle Paperwhite, you can keep your entire library at hand wherever you go. COMING SOON—As your collection grows, use Cloud Collections to arrange titles in custom categories and see your collections on your other Kindle devices and reading apps. See at a glance how long it will take to finish a chapter or book. Time to Read is personalized based on your reading speed and constantly updated as your speed and habits change. With Time to Read, it's never been easier to decide when to start a new chapter or finish the chapter you're reading. Whispersync technology synchronizes your last page location, bookmarks, and annotations across all your devices so you can pick up exactly where you left off reading. Shop Amazon's expansive selection, choose a title, and begin reading your next book in seconds. Our fast wireless delivers books in under 60 seconds—no computer required. COMING SOON—For thousands of qualifying books, your past, present, and future print-edition purchases will soon allow you to buy the Kindle edition for $2.99, $1.99, $0.99, or free.